Simon Cowell's ex-girlfriend Sinitta says he has been preparing himself for fatherhood by trying to look after a doll that cries and wets itself, and she found it "funny" watching him try to cope. 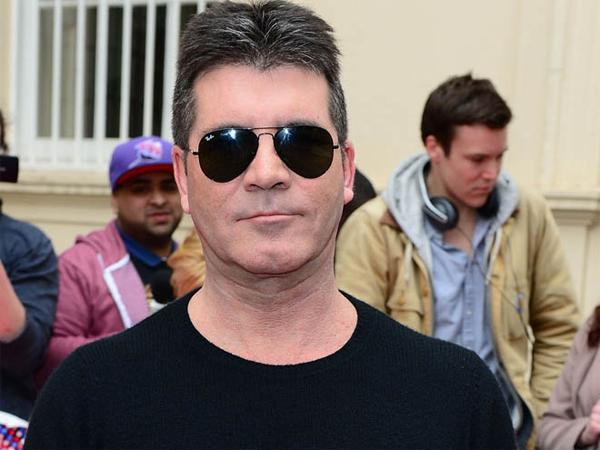 Simon Cowell has been practicing for fatherhood with a doll that wets itself, says ex-girlfriend Sinitta. The X Factor boss and his partner, Lauren Silverman, are expecting a baby, and his ex-girlfriend has opened up about how he is preparing for life as a dad. "He and Lauren got my daughter Magdalena a doll that can cry and do a wee-wee,” she told a British newspaper. "It was funny watching him sitting there with it. One minute he'd turn it one way and it would start crying, then he'd turn it the other way and it would wee on him. He didn't know what to do." Meanwhile, Sinitta added her former flame was still trying to get used to being around babies when she shared a holiday with him and Lauren in Barbados. "Someone handed him a baby to hold on the beach and I've never seen anything so awkward and ridiculous in my life. He didn't know one end from the other." The dad-to-be has previously discussed the upcoming birth, and has already start to look at way of making his home baby-proof. "There are a lot of boring things that happen when you have a baby. "You have to get rid of sharp edges, cigarettes, alcohol ... then there's the toilet to make safe. But I'll have a smoking room!"